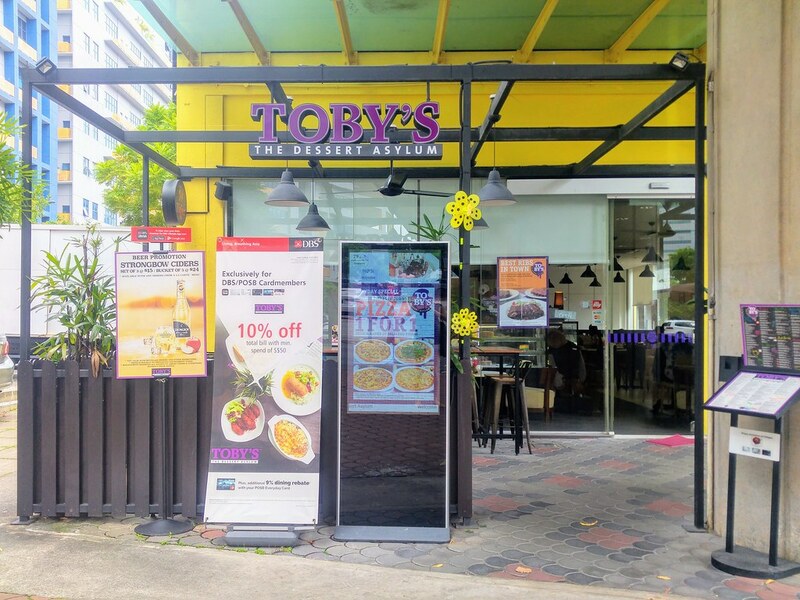 Known for its outrageous desserts, TOBY’S The Dessert Asylum at TradeHub 21 delights both kids and adults alike with sumptuous food as well. It has been away from the radar quite a while and now it's back with full force. 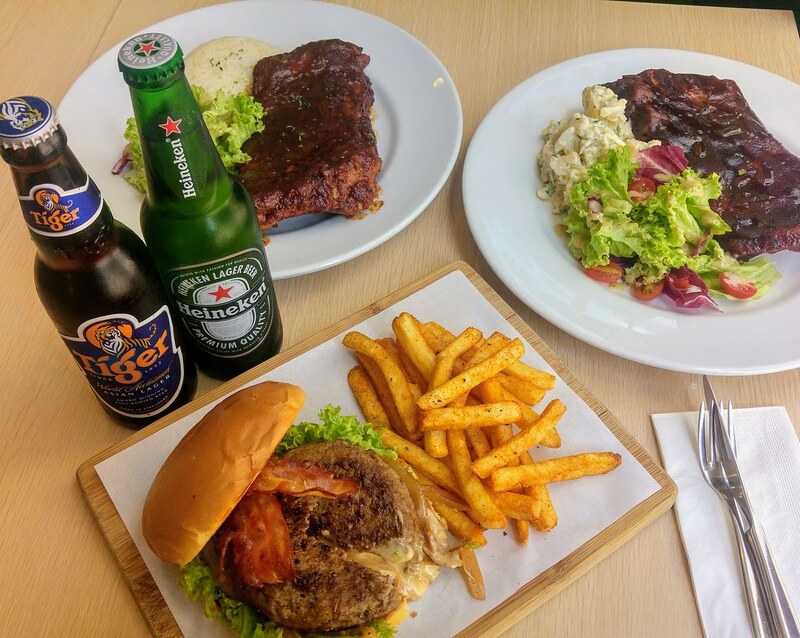 It has introduced new mouthwatering flavours of its best selling baby back ribs which you get to enjoy at an introductory promotion price, plus an amazing beer-food pairing deal, and awaits you at the end of the meal is another decadent cake and ice cream pairing. 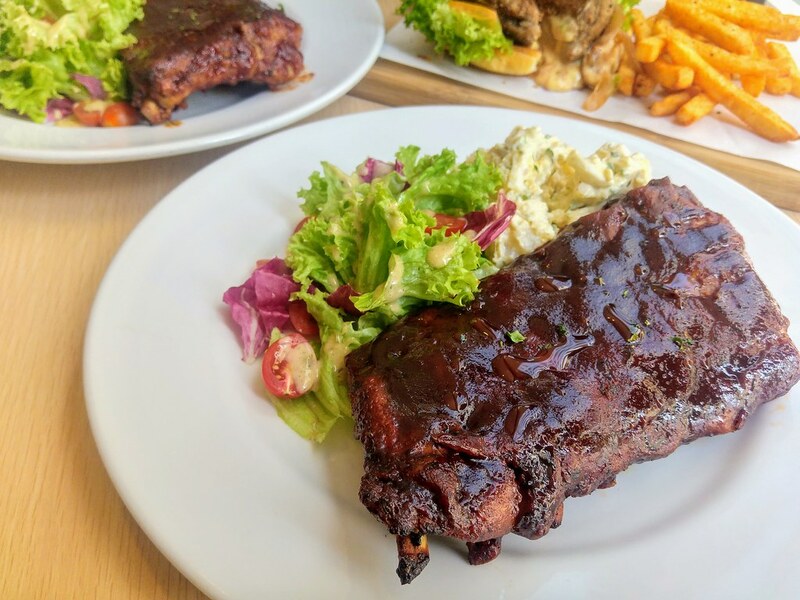 Guinness Stout Baby Ribs ($19.90) and Hickory Smoked Baby Ribs ($19.90) are the 2 new flavours. 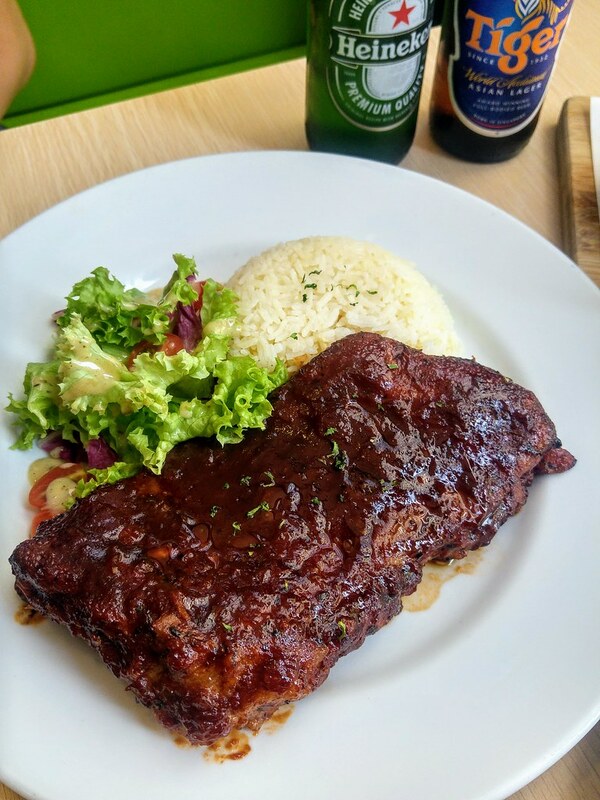 My vote goes to the Guinness stout baby ribs, for that pronounced alcoholic malty flavour. But both meats were equally tender. So how do you get the promotion? Drop by any time between 3-9pm, snap a picture of your ribs and share on Facebook, that will give you a introductory promotion of 50% off! And you get to avoid the really bustling lunch crowd too! I was introduced to its Toby's Deluxe Burger ($16.50) as well. 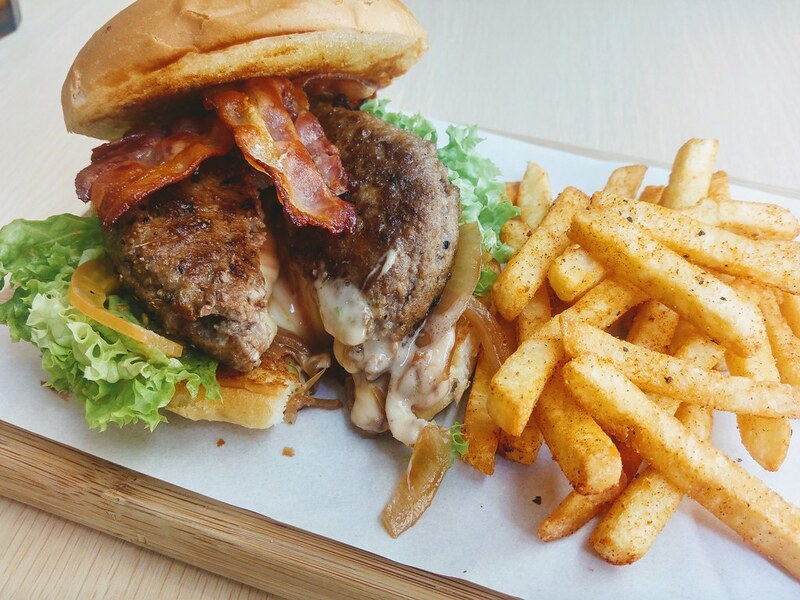 The key to eating this burger is that you must eat it the moment it landed on your table, so that you get all the goodness of the cheese oozing out from the juicy patty and spread across your burger. 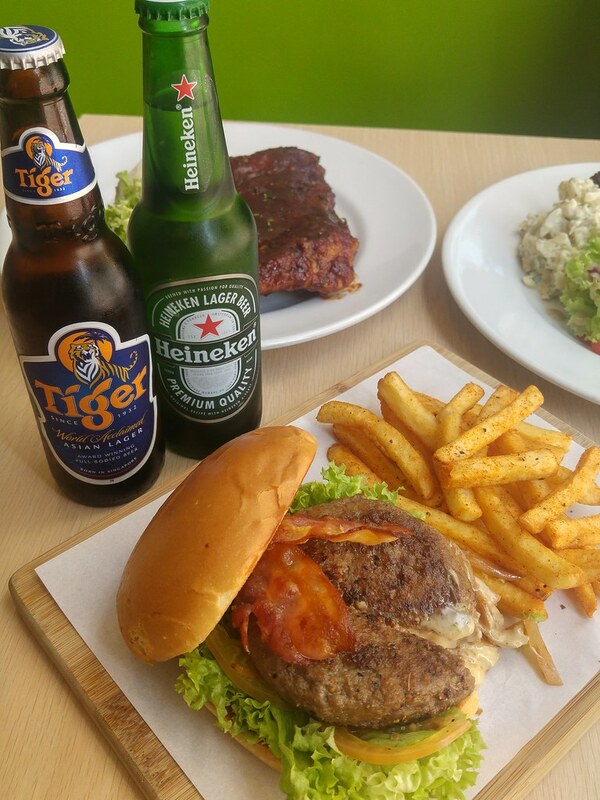 So here comes the deal - order any bites of mains, the bottled beers (Tiger and Heineken) will be yours at only $3 per bottle! Be it a mid-day tipple or a quick afterwork 'before home' drink, it can't be more affordable than that. You hardly see anyone leaving this Toby's without trying its dessert. One of the signatures here is cake & ice cream pairing. 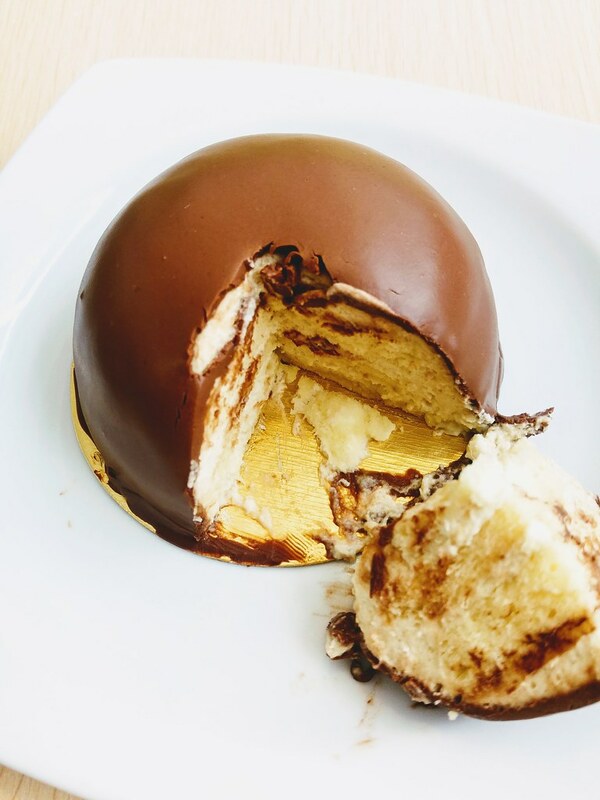 Ondeh Ondeh Cake ($7.90) is one of the latest flavour, made with genuine Gula Melaka. 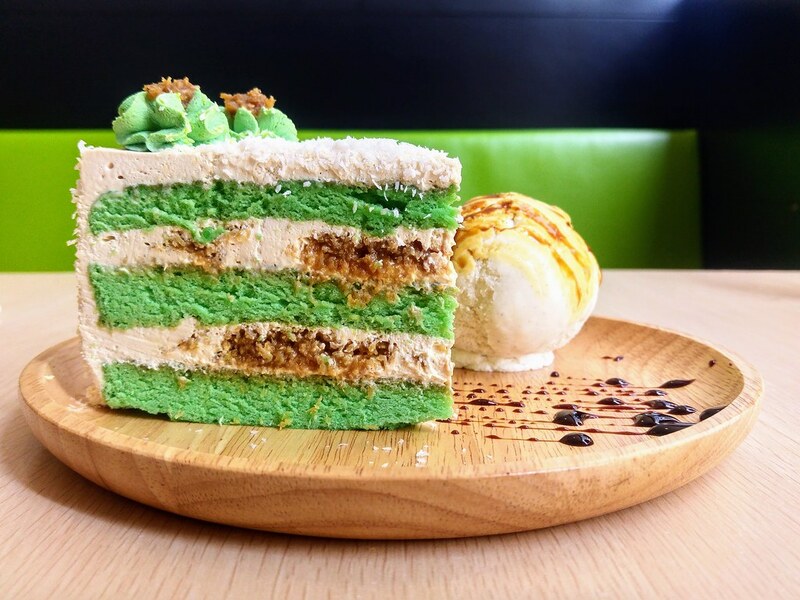 The pandan sponge cake is very moist and dense which creates a balance with the cream. Pockets of shredded coconut gives this cake its characteristic and imparts that quintessential ondeh ondeh taste to this dessert. A mouthful of it with the cold vanilla ice cream (+ $4) was like slathering cold butter on a piece of toast. Yummy. Among all the cakes, D'Lover ($6.90) is a hot favourite. Layered with durian filling, that explains its popularity. I guess desserts make people happy and hearty meals too, which explain the joyful vibe at Toby's.